Hey hkhssweiss I finally updated my deck to get it to work and I was able to win against a Kynaios and Tiro of Meletis , Goreclaw, Terror of Qal Sisma deck with the changes. 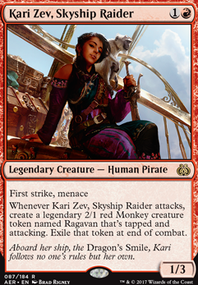 I added Thousand-Year Storm Jaya Ballard Pulse of the Forge They have really helped my deck and quite frankly I'm surprised I won. 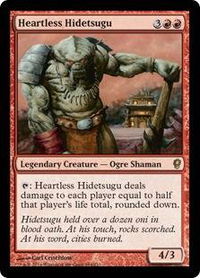 Cut these creatures and spells as soon as possible, none of them improve the Voltron wincon. You've got a lot of filler in here, I stopped adding cuts because it really depends how far you want to take this deck as well as what you'd budget for it. 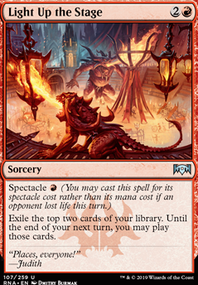 Mono red likes ramp, I'd recommend adding the mana doublers Gauntlet of Might / Gauntlet of Power and Caged Sun as well as some rocks Sol Ring and others. From your maybe board I'd include Goblin King / Blood Moon / Daretti, Scrap Savant and a few others. 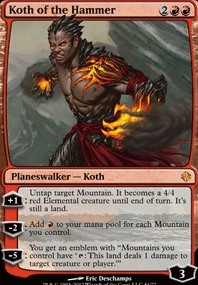 Mono red voltron is going to rely on you ramping up harder and controlling your opponents by destroying artifacts and land so Shattering Spree / Volcanic Offering / Incendiary Command / Mizzium Mortars / Fissure Vent/ Structural Distortion are all cards i'd recommend. Hope this helps, like I said it all depends on how far you want to take it but there are plenty of mono red staples that you don't have in here that would work well with a voltron build. 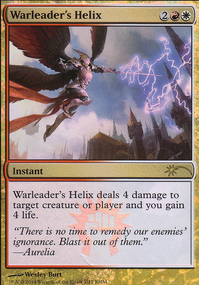 It would definitely be awesome in a neheb-burn deck, though. Thinking about free Lightning Bolt or Pulse of the Forge or even Comet Storm in that deck would be cool. 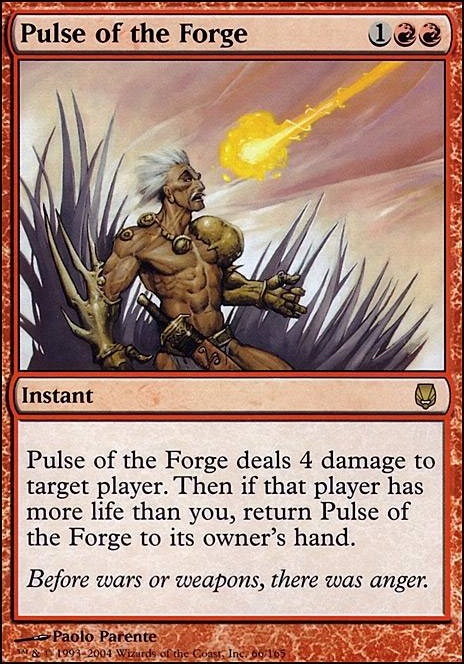 Pulse of the Forge isn't really good here. Goblin Guide? Creature wise I think you should consider Satyr Firedancer, Curious Homunculus Flip and Thing in the Ice Flip. Not sure Gelectrode needs to be in this deck. Pulse of the Forge and Flames of the Blood Hand aren't great, however Everlasting Torment can be a lot of fun, is useful and should be maindecked. In such a low cost deck Shard Volley is worth considering. 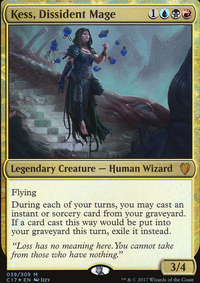 My only other concern is how you deal with enchantments, particularly the Leyline ones you only have 1 bounce spell Echoing Truth that can do this. You probably need that ability more than Vapor Snag. Mine had no white, self protection...stuffy doll and a few others didn't exist then... but Mogg Maniac did. I ran a lot of the stuff you have but ran more ramp (Seething Song), as well as Inferno, Sulfuric Vortex & a single copy of Pulse of the Forge.